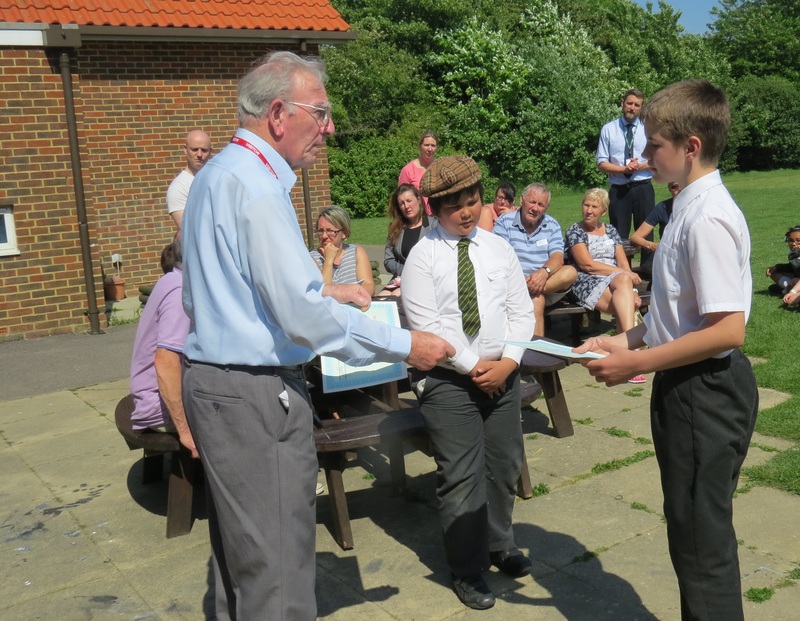 John Brooks, FONFA Treasurer and former Chairman of Trustees, and Henry Goodall, current Chairman, visited New Milton Junior School on 24th May, accompanied by WWII Veteran Merchant Navy Sailor, Mick Avery. They were guests of the school, to view the many small museums created by the children; part of their WWII history study projects. The variety and standard of the exhibits and of the research, which the children had carried out for their projects, was very high. 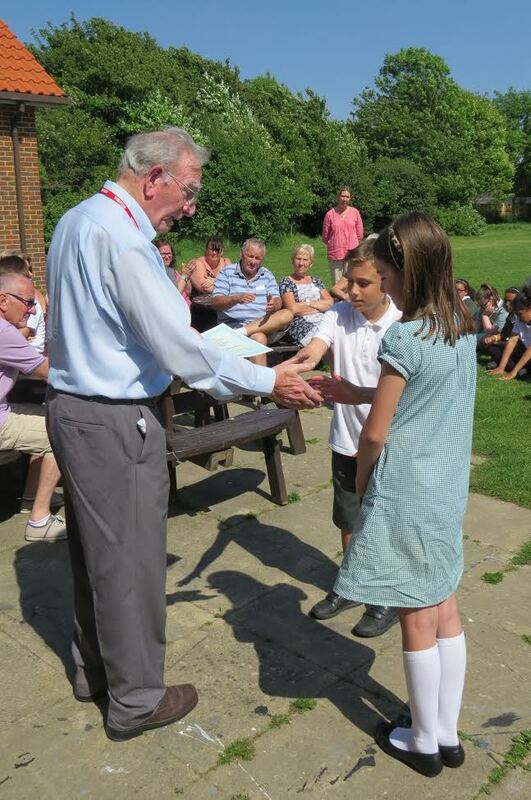 Former Chairman John Brooks presented the certificates of excellence to the children, while several of the class members’ parents looked on. Our visits are now an annual event, usually involving at least two visits, during the winter months. This year’s later visit was delayed due to school timetabling and SATS tests. FONFA values our association with the school highly, which now stretches back for nearly a decade. We would be pleased to form similar associations with other schools in the New Forest area and have them visit the new FONFA Museum. If readers know of any schools which would be interested in learning more about our local military heritage, either via a Museum visit or via a presentation given at the school, please let us know via e-mail at fonfa2010@gmail.com.